The word Tatanka is a Lakota word that translates to buffalo, and the great buffalo will forever remain a part of the historic culture in northeast Nebraska. 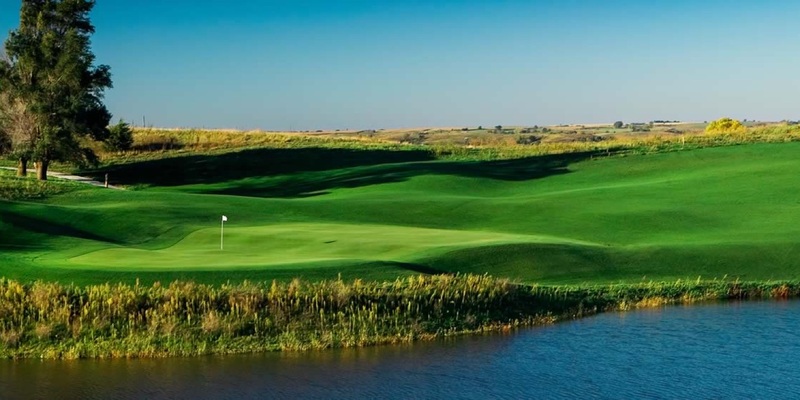 The Santee Sioux Nation plans for Tatanka to become synonymous with great golf there as well. Golf course designer Paul Albanese has designed and is developing the new Tatanka Golf Club, which is scheduled to open in 2015. Seeding of the course was recently completed. "This is easily one of the nicest pieces of property I have ever been involved with, and it has been incredibly interesting," Albanese said regarding the land that features bold movements of rolling hills and ridges with views that stretch for more than 30-40 miles. 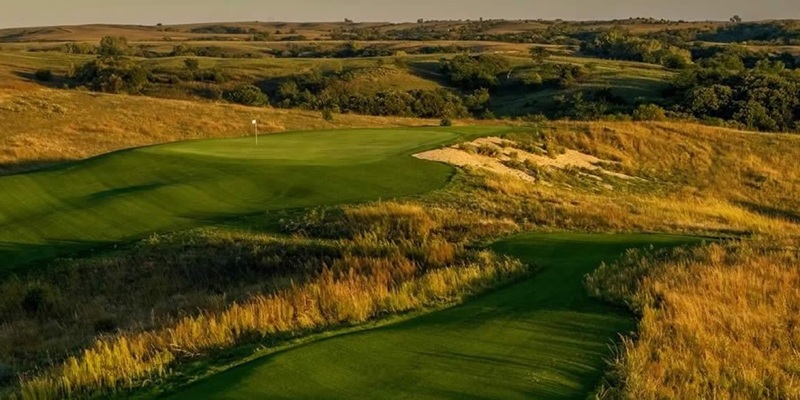 Ron Whitten, architecture editor for Golf Digest, described it as "Nebraska's Sandhills with trees," as he included it among a group of sneak peaks in his listing of Best New Courses in 2014. During the construction, Albanese researched the history and culture of the Sioux Nation in order to incorporate cultural stories into the design. With each creation of a fairway, green and bunker his team would discuss ideas presented by the Sioux Nation. "We took the history and the culture of the area and the Sioux Nation, and used it as a design inspiration in a subtle and respectful way," said Albanese. "We looked at the land forms and designed something that might reflect local stories. For instance, how a certain mountain looked and got its name would be the kind of thing we tried to incorporate. I remember a story about a medicine woman we used as inspiration." In his research of the culture, area and natural landforms, Albanese found the Sioux have a great respect for nature. "I knew then we had to blend the golf course into the natural surroundings," he said. "In beginning our process, myself, shapers, construction people, we all learned the stories. Some of the bunkers, though they may not literally look like something from a story, they were made with that story in mind. We looked at the clouds. We looked at the rocks, trees, all the natural surroundings and made the golf course fit there as if it belonged. One hole, inspired by a spiritual story, has a spirit bunker shaped after thinking about the story. It's all very subtle, but impactful I feel to those who live there." Many of the stories, of course, include the great buffalo. In this, Albanese opted for literal interpretation. In some fenced in spaces very close to the golf course, great buffalo roam. "You can actually hit a tee shot and have buffalo 20 feet from you," Albanese said. "We were very careful on where and how we routed the golf holes close to the buffalo, but we felt it was important to have them within the course to be true to the culture of the area." The resort decided upon a golf course as part of an expansion to give visitors a reason to stay longer. Albanese expects there will be an economic impact on the area in jobs and increased tourism. "This is a template used by other Native American tribes with casinos," Albanese said. "They use the golf to create a destination resort, more of a weekend trip instead of a simple visit to the casino. Take a break from gaming, and play golf, that kind of thing." The finished design is unique, each hole is different and memorable and each hole is named and derived from a different story from the Sioux culture. For Albanese it wasn't as big a transition from his design work as some people might think. "We try to get into all the stories and backgrounds that reflect the owners of the courses we design and build," Albanese said. "Then we try to reflect those in the design." Please call 402-857-3504 for current rates. Call 402-857-3504 for rates and tee times. Contact Tatanka Golf Course at Ohiya Casino Resort at 402-857-3504 for more information and details on holding a golf outing at the course. Contact Tatanka Golf Course at Ohiya Casino Resort at 402-857-3504. Contact Tatanka Golf Course at Ohiya Casino Resort at 402-857-3504 for onsite or nearby dining options. This profile was last updated on 12/30/2018 and has been viewed 12,464 times.